A lot of hard work and not many fish today. Always good to have Tom fish with us. Appreciate your patience Tom. Thanks to Barbee for taking the time to bring his crew to fish with us at the beach. Thankfully the waters were smooth and we had a good time. Appreciate you making the trip Barbee…come back to see us! 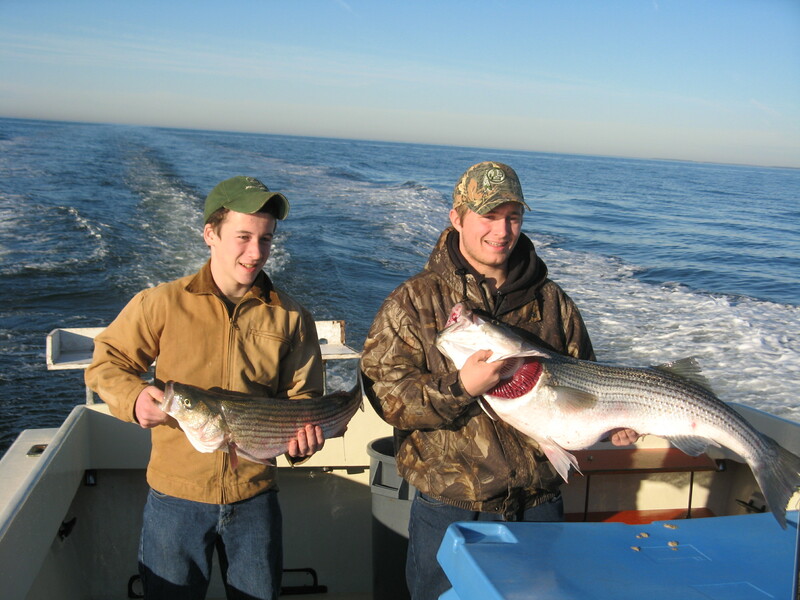 This was our first fishing day of the year at Virginia Beach and we appreciated having Lewis and his group with us again. 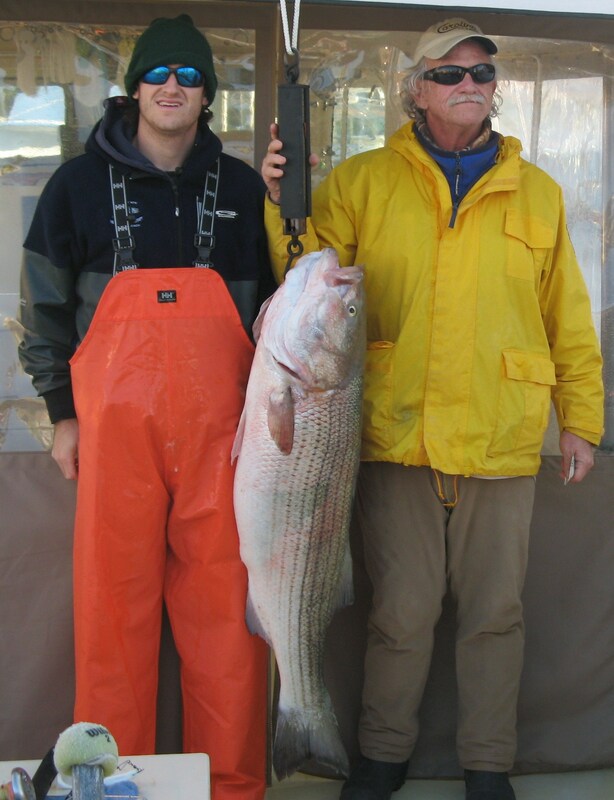 This was the biggest fish of the day…a state citation-46 lbs. caught by Lewis Graves. We thank him for making the trip with us! Congratulations Lewis. 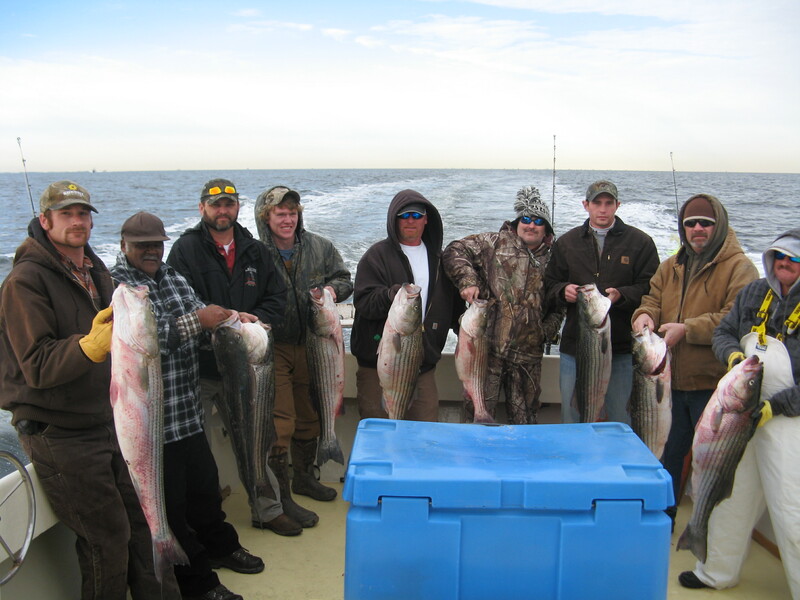 Thanks very much to Jeff for bringing his fellows down to fish with us. 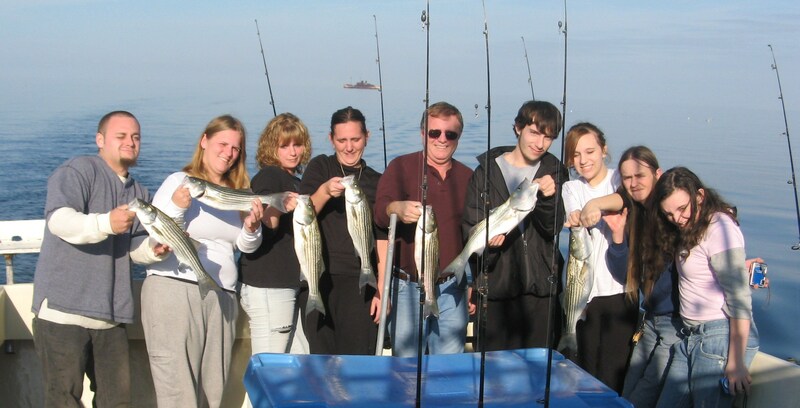 Not as many as we would have liked to have but we caught some nice fish and everyone had a great day. Appreciate having you aboard and look forward to fishing with you again. Glad to have Collins and his partners back aboard KIT II. It was windy and rough with the seas and tough fishing, but we did the best we could and had a great time in spite of it all. 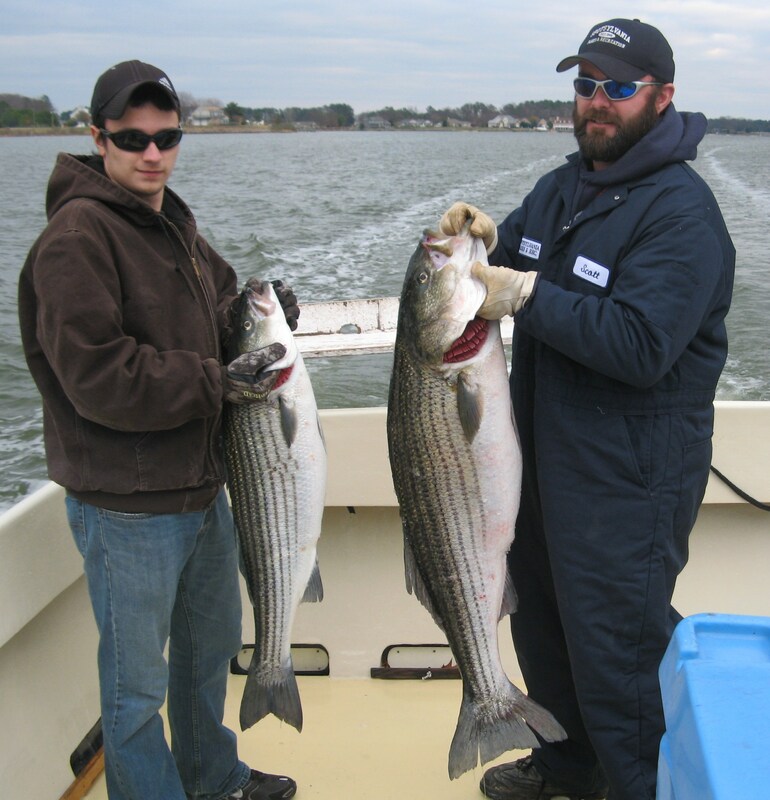 These were the biggest fish these men had ever caught…37 pounds for the big boy. Appreciate having you all fish with us! 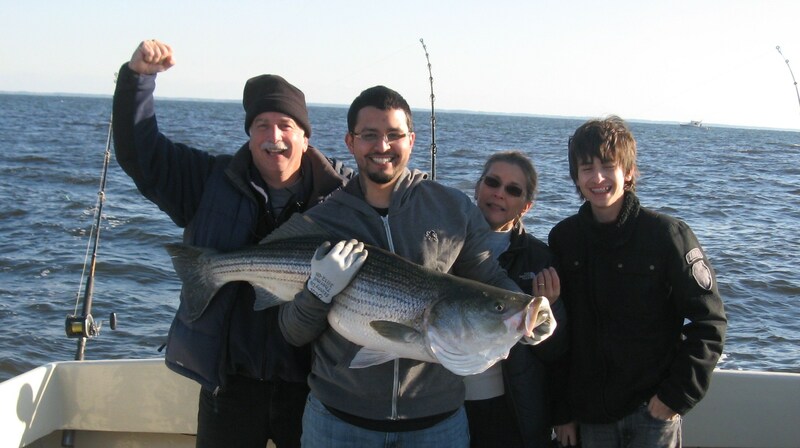 Kind of a hard day but persistence paid off with this huge rockfish. 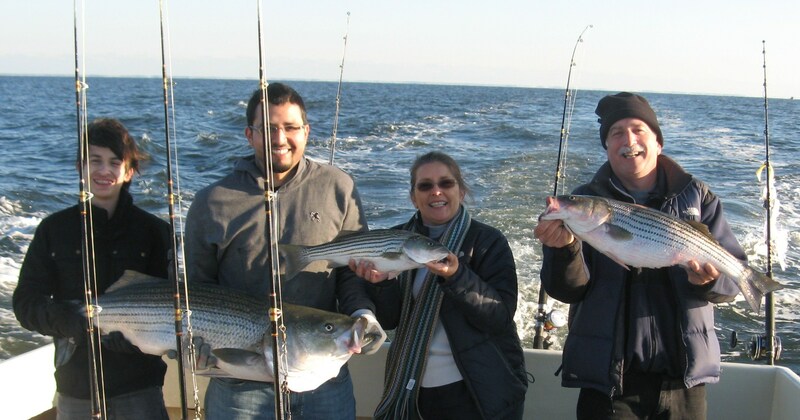 Very glad to have Gloria, Tim and sons fish with us…truly hardy anglers! Appreciate your business and hope to have you fish with us again next year! On my last chumming day of the season, the Trent Family joined us for a great fall day on the water! Enjoyed fishing with them – glad to have Wayne fish with us again. Appreciate the business and hope you will be back again next year.